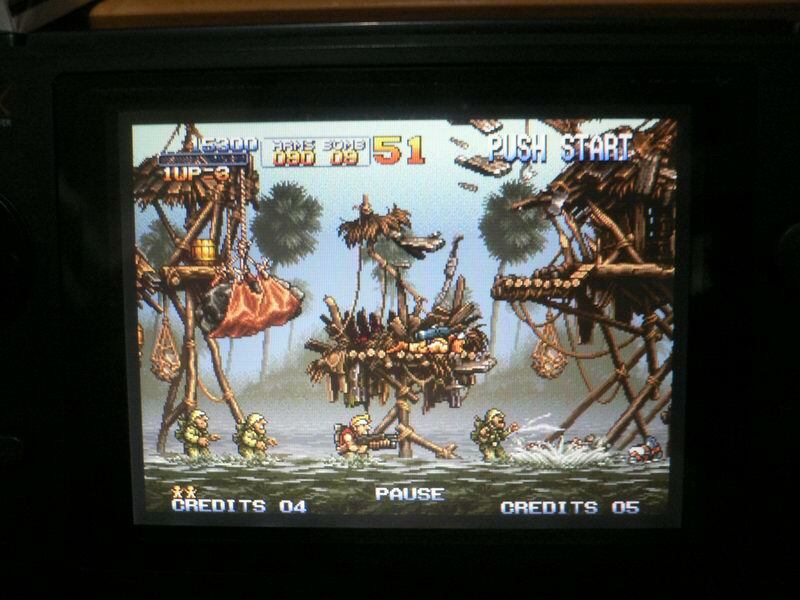 The first NeoGeo CD Emulator for the gp2x! now support sound and ISO image. This emulator comes with white screen it doesn't work it's crap, well we don't need this we have gngeo 2x beta version which is really good. It worked great on my gp2x f200, and I didn't even install the sdl libraries. Full speed without sound clocked at 266, that�s highest I can clock my gp2x. With sound I noticed the frames missing but maybe the bit rate on the mp3's was too high, hopefully full speed with sound can be achieved some way. it work perfect! (gp2x f100 firmware 4.1.0) tanks! plays Japan BIOS by default; recompiled with neocd.c: #define REGION REGION_EUROPE; now plays Engrish for me :) Thumbs up!